Lake Arrowhead offers the rare opportunity to enjoy two 4 ½ star rated golf courses in one property. The Pines, our original 18-hole course, is the centerpiece of the community, and is listed as one of the top courses in Wisconsin. The Lakes, our second championship golf course, boasts a challenge to your game that few places can offer. You can even enjoy the Pines during the winter, as our lounge and restaurant stay open and the course is groomed for cross country skiing. This pristine 300-acre lake offers the best of lake living, from boating to swimming, to waterskiing and fishing. Catch some Bluegill, Perch or Crappies for dinner whether it's summer or winter. Or use one of the public or private launches and stay on a Wednesday or Saturday evening to watch the Shermalot Ski Team. If you like game fish, we have Largemouth Bass, Northern Pike and Walleye for your sporting pleasure. Pick up a game of volleyball, shoot hoops, hone your archery skills, hike through our lovely woods or roast marshmallows over the campfire. In the summer, take a dip in our heated pool. In the winter, hit the slopes on our tubing hill and snowshoe on our trails. Also for members, the Lake Arrowhead Association offers several value-added benefits for discounted prices including: Snowplowing, Tree removal, Maintenance, Grass cutting, Tree planting etc. Four private lake centers (North Lake, Mid-lake, South Lake and West Lake Centers) are located on the shores of Lake Arrowhead, each with its own set of facilities and recreational activities. From covered pavilions, playground equipment, showers, restrooms and perfect swimming areas, to private docking facilities and boat launches, our lake centers offer fun for the whole family. Here you can play every sport you love – basketball, baseball, tennis, volleyball – and spend time with friends and family under the covered, open-sided pavilion. Enjoy summers on the lake! 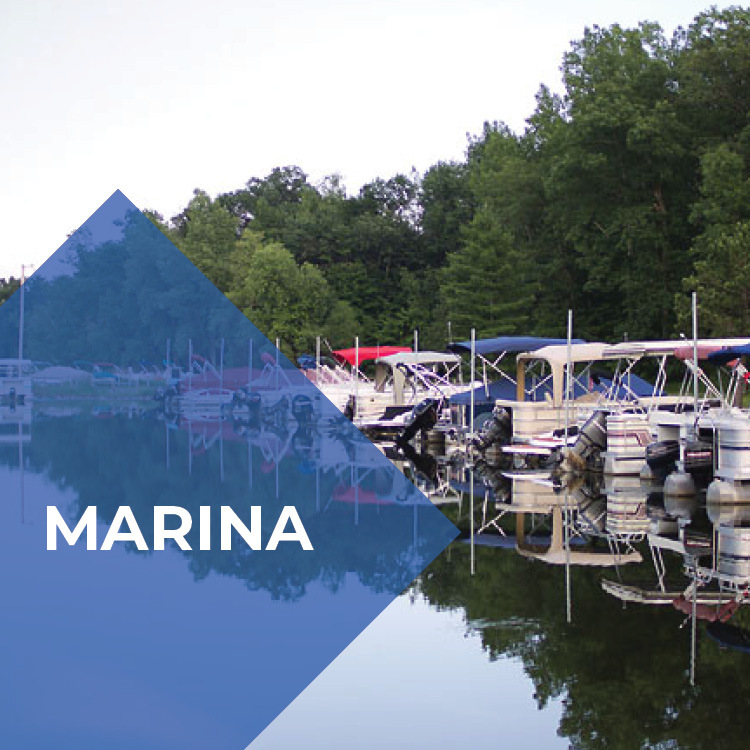 The South Lake Marina offers pier slips, canoe and kayak storage racks to members on a rental basis. The North Lake Marina offers pier slips for rent as well. Contact the Association Office to check availability and get your pier slip for this summer. Our campground area offers 44 camping sites nestled in a beautiful wooded environment. Exclusively for Lake Arrowhead members and their guests, these campsites have water and electric hookups and are handicap accessible. Laundry, shower facilities and restrooms are also available. For additional detail on our beautiful amenities, or to learn more about becoming a property owner and member, please call the Association Office at 715-325-2941.